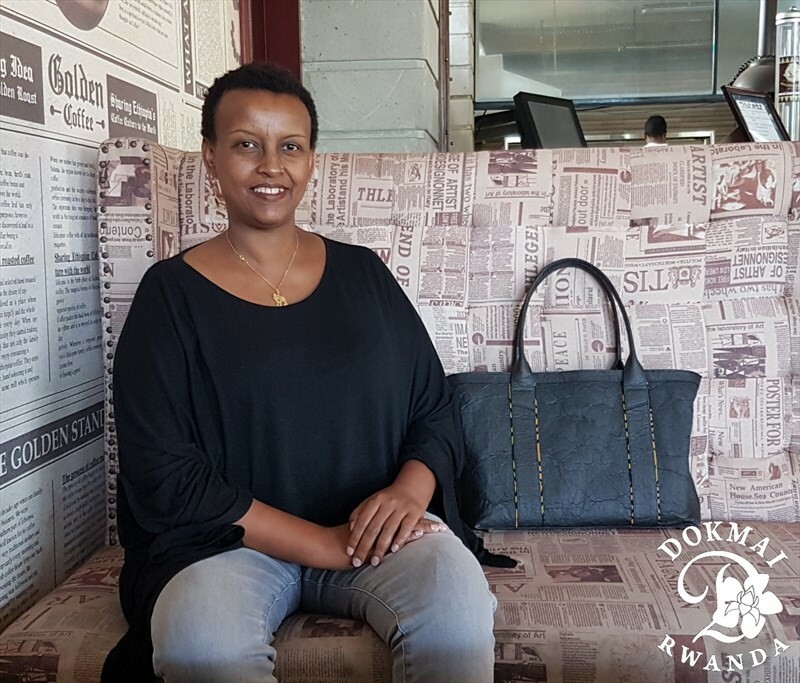 A surprise for all fashion trendsetters who like DOKMAI Rwanda’s leather fashion accessories but did not want to buy them for ethical reasons and concerns of animal welfare. PINATEX is available in 6 coulours , which are charcoal, natural, brown, paprika, gold and silver. Besides the products presented here most of our existing leather products can also be manufactured with PINATEX. Don't hesitate "Pep up your look" but remain vegan!!!!! This lightweight bag has room for a laptop - protected by a PINTEX laptop sleeve - for folders.portfolios,documents, a wallet, a cosmetic pouch, a purse and all the items you carry on a trip. lukewarm water but never fully submerge the product as this may cause irreversible damage. 2. Let your item dry before any application is made and refrain from using a heat source to dry more quickly, as this could cause damage. sparingly over the textile in a circular motion until fully absorbed. Do not use too much wax as it may not fully absorb. 4. Leave your item to dry naturally for 24 hours after application. 5. You can also buff the wax off with a dry cloth or soft brush.